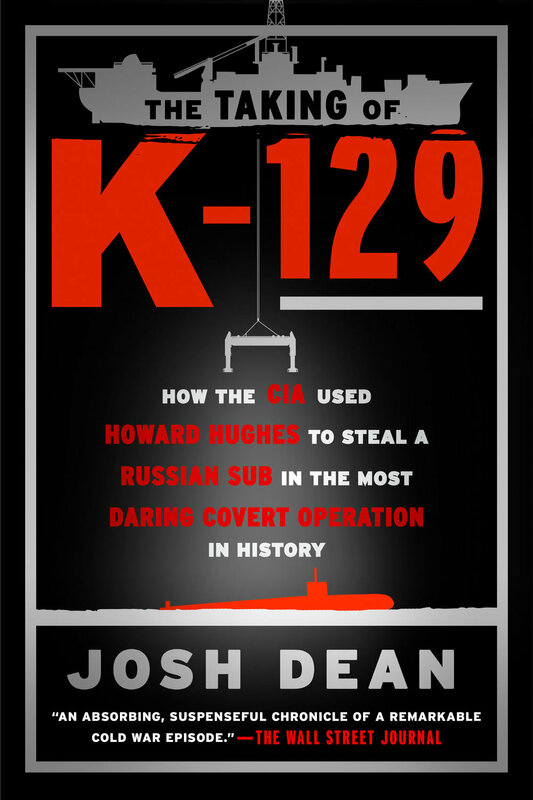 The Taking of K-129 is available wherever books are sold. I'd prefer you support your local bookstore, because they are small businesses and are vital to the survival of this industry. They also support authors and encourage reading. Mine is Greenlight, in Ft Greene, by the way, so if you're strolling through Brooklyn, please stop in and buy some books. Books Are Magic, which just replaced the borough's beloved Bookcourt, is another excellent option. To find an independent bookstore, or pre-order the book from an indie, there's the excellent Indiebound website. You can also order direct from the great Powell’s, whether you live in Portland or not. If you don't have a bookstore nearby, or prefer the convenience of one-click shopping, by all means hop on over to Amazon, Barnes and Noble, Target, Hudson Booksellers, or even Apple's iTunes store. They are big, but not bad.